While away at Stampex in September 2016 my wife informed me that David Parsons at Spink had telephoned and told her I had been nominated for an award in South Africa. I had no idea what it might be until I arrived home and once I became aware what it is, I said to my wife that I thought it to be quite a prestigious honour. 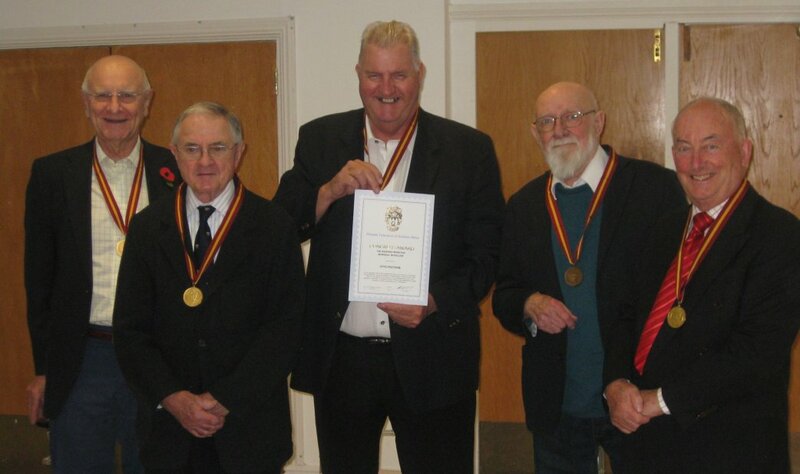 In November 2016, at the 15th Southern Africa Philatelic Conference on the Saturday evening before dinner, I was handed my medal in the presence of another four previous winners. It was quite amazing that five out of thirty recipients were present at the Conference, Alan Drysdall (1991) Brian Trotter and Richard Stroud (2004 - 05) - Chris Board and me (2015 - 16). With all of us wearing our medal an appropriate group photograph was taken. At a later date I decided to find out more about who Weinstein was and how the Medallion came about and I anticipated ‘Chapter and Verse’ on the PFSA website, but to no avail. There is a link on said website that leads to a page with this message. Born in Pretoria on 18 April 1927, went to Rhodes University after finishing high school in 1942. He signed up for war duty in 1944 with the South African Air Force as a Navigator. After the war he returned to his judicial studies, only to leave again in 1948 as a volunteer with the Israeli Air Force. Back in Pretoria by 1949 and joined his father in the Wine retail trade. An active collector and exhibitor he was one of the youngest philatelists to be nominated as a RDPSA in 1968. 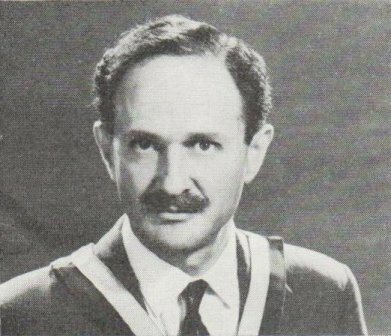 Note In the SAP it stated Weinstein was the youngest ever to be nominated as a RDPSA, he was 41 at the time...this information also appeared in his September 1978 obituary...the forgoing was ‘challenged’ by Max Peisach in the Dec 1978 SAP as he was aged 39 when made a RDPSA in 1966. Besides an involvement with various societies he also served in various roles with the Philatelic Federation which includes the Expert Committee. 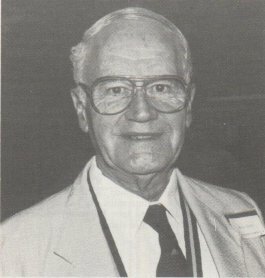 He was twice President of the Federation in 1964 and 1974 and became Editor of The South African Philatelist (SAP) in October 1972. He held that position until his untimely death on 5 September 1978. An extensive obituary was published in the September 1978 SAP. Although he built up a superb Research Library, it does not appear that he was a prolific writer. I searched the SAP indexes from the late 1940’s to 1970 and short articles by Manfred only appeared on occasion. In the summing up in his obituary it notes...Manfred Weinstein personified the highest qualities, he was a perfectionist, demanding the highest standards. His integrity was unquestionable and he always acted in utmost fairness. He was meticulous and had boundless mental energy. This headline appeared in the November 1980 SAP and states...A Major new award is now available to the Philatelic Federation the Manfred Weinstein Memorial Award for philatelic achievement. The philatelic congress in Germiston last month accepted the introduction of the award, which will be available as from next year. ‘Philatelic achievement’ is defined as recognised and outstanding work in philatelic research and study and the making of a significant contribution to philatelic knowledge. The shape of the award will be finalised by the Weinstein family...in collaboration with SAPDA (the sponsors). Joh Groenewald kindly sent me the typescript of the original conditions for the award, as set by Mrs Hylda Weinstein in conjunction with the committee of SAPDA at the time, headed by Crocker - SAPDA sponsored the cost of the medallion and ribbon. Joh also advised...Once the shape of the award was agreed upon, it was decided to name it the Manfred Weinstein Memorial Medallion. This award shall be for philatelic achievement. ‘Philatelic achievement’ implies achievement in the field of philatelic study and research, which achievement would result in the common recognition of the candidate’s impartiality and expertise. 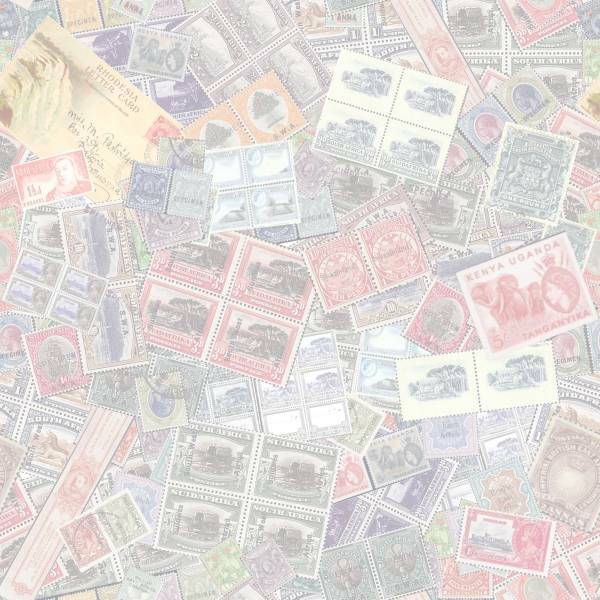 Philatelic achievement involves study, primary research, fastidiousness and the willingness to share knowhow with others and to disseminate information. Not more than one candidate per annum may be nominated and the award need not be made. The philatelic congress, shall in secret ballot elect the candidate only if a confirming vote of two thirds of the votes cast is registered. Considering that the Weinstein Medal is regarded as a prestigious award, the subsequent announcements in the SAP often turned out as a bit of an anti-climax. Dr Tom Berry started the ‘Postmark & Postal History Society of Southern Africa’ in the 1970’s and Ken Baker was one of our early members. Ken was an ardent postal historian and a prolific writer. He lived in Bedford and later in Port Alfred in the Eastern Cape and passed away in July 1991 at the age of 84 while we were preparing his final publication for print - ‘The Maritime Postal History of Natal 1824 - 1901’ as Occasional Paper No 11. #8 ‘The Field - cornet posts of the Cape Colony’. Ken also published much on Mauritius - ‘The B53 obliterators of Mauritius’ published in 1976 as No 18 in the ‘Harry Hayes Philatelic Studies’ series, a few privately published booklets ‘The coat of Arms Issues of Mauritius’ and ‘The Provisional stamp issues of Mauritius’ amongst others. 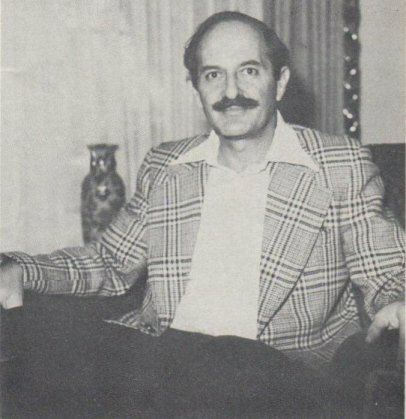 1982 Robert Goldblatt His award was not announced or published in the relevant Congress report. He signed ‘The Roll’ (RDPSA) in 1979 and is probably best remembered for his book Postmarks of the Cape of Good Hope (1983). 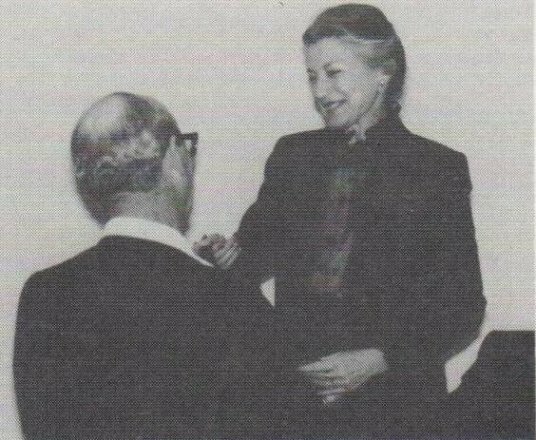 One has to fast forward several years to ‘DURSA 83’ before more news on the forgoing makes its debut in the October 1983 SAP under ‘Weinstein Medallion Presented’...Highlight at the philatelic congress was the arrival of Mrs Hylda Weinstein of Pretoria, widow of the late Manfred Weinstein RDPSA, who died five years ago at the age of 51. 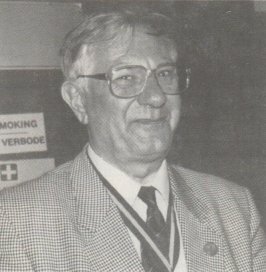 Manfred Weinstein, twice President of the Philatelic Federation, long time chairman of the Pretoria Philatelic Society, Editor of The SA Philatelist, member of the Expert Committee and other philatelic committees and bodies, is regarded as one of the top students of Southern African postal history. Mrs Weinstein came to the congress for the presentation of the Manfred Weinstein Memorial Medallion, a prime award sponsored by the South African Philatelic Dealers’ Association. The award, in the form of a medallion worn with a ribbon, is for philatelic achievement - i.e. philatelic research, study and knowledge shared with others. It may be awarded once a year upon the recommendation of the Federation’s Awards Sub-committee. The award was first made in 1981, to Mr Ken A Baker of Bedford. Eastern Cape. Last year it was awarded to Mr Bob Goldblatt RDPSA of Cape Town, also a student of Cape postal history and philately, and this year it was not awarded. Although the award had already been made, the engraving of the medallion was completed this year and Mrs Weinstein accepted the invitation to perform the first presentation to Mr Goldblatt. Mr Goldblatt paid tribute to the late Manfred Weinstein, who had a profound influence on serious philately in South Africa. 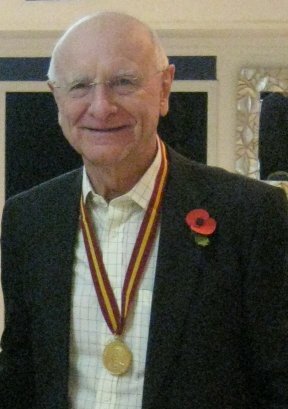 Mr Baker’s medallion is to be presented by Mr Mike Koyd, the Federation’s new vice-president for the Eastern Cape, at a ceremony to be arranged. 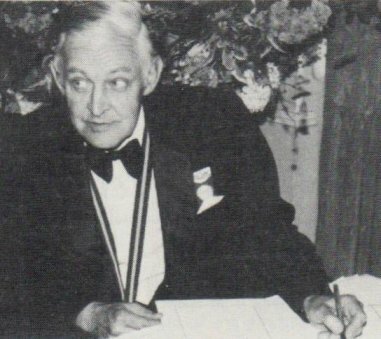 See photograph below, Danny signing the Roll of Honour in 1987. A prominent announcement appeared for Richard Knight’s award. An active member of the Rhodesian Study Circle and formed a superb collection of Early Rhodesian Pioneer Mail. After he passed away Spink auctioned his collection on 21 March 2003. 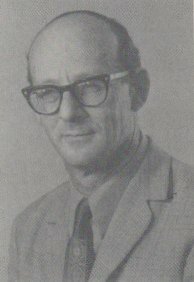 He compiled a slide lecture on the Postal History of early Rhodesia and published Between Limpopo and Zambesi; the postal routes of Southern Rhodesia to 1923 (1981). 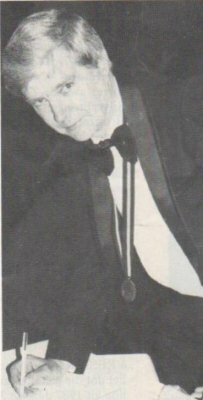 Besides an announcement, a photo of Mike wearing his medal is included - SAP November 1987. 1988 Joh Groenewald (RDPSA 1980) Given that he was the editor of the SAP at the time, surprisingly no announcement was included in the 1988 editions...again one has to look through later issues of the SAP to find reference to the foregoing. Included in notes on the 51st Congress (SAP Nov. 1989) held on 7 September 1989 under ‘Groot verrassing vir voorsitter’ there is a short report in Afrikaans, the title translates ‘Big Surprise for Chairman’. At a meeting by those who determine the top Federation awards. 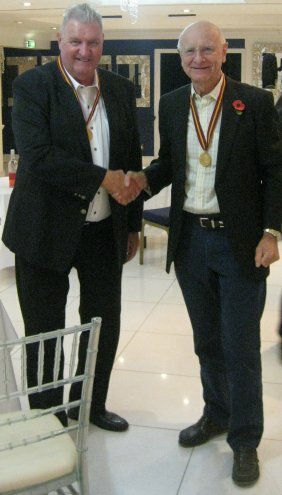 Joh Groenewald said that there were three important awards which include the Weinstein Medal. At that David Crocker stood up and placed a Weinstein medal around Joh’s neck. A speechless Groenewald could not understand where the medal appeared from as the stock was locked in his office safe. 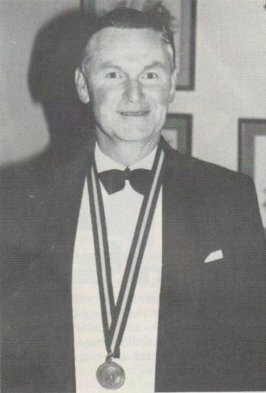 Joh had been nominated for the award without his knowledge and the medal placed around his neck belonged to Danny Swart, who received it in 1985. Ralph Putzel’s phenomenal contribution includes his books on German South West Africa plus South West Africa’s Mandate period and followed by Encyclopaedia of South African Post Offices and Postal Agencies in four volumes. For every collector of Southern Africa the foregoing publications are a ‘must’! ...his particular speciality...is Transvaal philately, its post offices and markings...(SAP Sept./Oct. 1990) - George was a prolific writer. He is included in the group photograph below, which is probably one of the last taken of him. I wrote his obituary in January 2017 which was published in several Philatelic Journals. 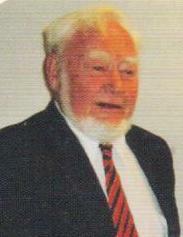 1992 Dr Sebastian Endrödy-Younga...a leading expert on European and foreign philately, where he is regarded as a foremost judge and a member of the Expert Committee... (Dec. 1992/Jan. 1993 SAP) The SAP report is more informative than usual, listing previous recipients and also mentions the DURSA 83 presentation by Hylda Weinstein. The 1998 SAP is domineered by events at ILSAPEX 98. The Congress report only made it into the February 1999 SAP. Pauw has researched and written much about early pioneering philately in South Africa and also the Postal History of the Eastern Cape. only his name, no further detail. Harry was one of South Africa’s ‘Larger than life’ characters who did an immense amount of work for philately. I first met him in 1983 at DURSA and encountered him time and again, either at overseas Internationals or during my frequent visits to South Africa. 64th Congress at ALGOAPEX, only his name, no further detail. Tim is the only USA based recipient of this medal. As may be seen above; from 2000 the SAP merely notes the name of a recipient of the Weinstein Medal and in time to come one may wonder who these people are. Ironically an exhibitor who has achieved the lowest award, being a ‘Certificate of Participation’ enjoys more ‘Press’ than those who earn a Manfred Weinstein Memorial Medal! Then in 2005 a line of information appears followed by absolutely nothing the following year...not even a name! Richard is also a prominent and active member of several Southern Africa Societies which includes the ABW, Orange Free State, Bechuanaland and Rhodesian Study circle. Dec 92/Jan 93 SAP and include postal stationery, officials, revenues, postmarks and local posts. Annual Indexes for the SAP Cedric Roché complied these in the 1970’s up to 1978. Anyone who is a researcher appreciates the value of such indexes. The alternative is to laboriously page through every single edition in the hope of finding a certain note, article or reference. Chris responded to my appeal for input and wrote...If I were asked to describe my contribution to South African philately, I would be inclined to emphasise my membership of the Editorial Board of the S.A. Philatelist from April 2004 to May 2007. During that time and subsequently I published a 29-part series of articles on the '‘local’ stamps of the world, in all some 72,000 words and 348 illustrations. 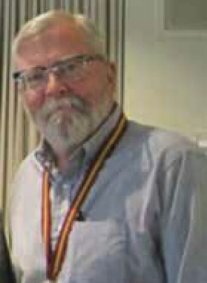 2016 Otto Peetoom - 78th Congress at SAPDAPEX...for his huge role in the development of the current interest in Southern African Philately...(SAP December 2016) Medal presented at the 15th Southern Africa Philatelic Conference at the Honiley Court Hotel in the Midlands. The photograph at foot includes 5 out of 29 recipients of the Manfred Weinstein Medallion. 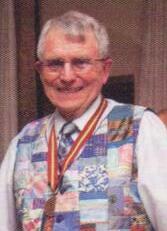 Co-founder and editor of Southern Africa Philately. It is essentially a ‘South African’ award, thus it is not surprising that the predominant number of recipients hail from South Africa. 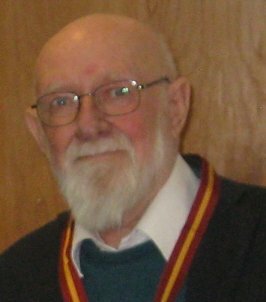 It was only in its 11th year that the honour was bestowed on an overseas Philatelist (Alan Drysdall 1991) and only one other individual joined the list before the turn of the century (John Dickson 1999). In the 21st century the ‘Overseas boys’ have made their presence felt and currently the score is South Africa (9) Overseas (7). This article was researched and collated on my own initiative with full acknowledgement to its various sources...its aim is to be informative and to further promote philately in general... The information is presented in a factual manner and gleaned from a journal that is in the public domain. It does not contravene anything whatsoever...however a petty and fanatical faction wishes to hi-jack my information, place it on a different website and claim it as their initiative...Shame on them! A fascinating and superb tribute to Manfred Weinstein and the recipients over the years. I met MW as a junior collector in Cape Town when I visited Len van de Kar (regularly) and Manfred was there. He helped as much as he could with my collecting interests and I have his carefully worded and beautifully written letters, always in blue ink. He was a true gentleman and you’ve done his memory proud. 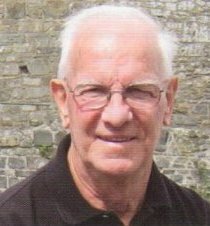 Manfred was like a father to me as well as being one of my philatelic mentors. We lived a few streets away from each other and I almost lived at his house. Manfred and I, together with Dr Tom Berry started the Postmark & Postal History Society of Southern Africa in the 1970's and Ken Baker was one of our early members. Yes - this is the sort of thing that needs doing before it is too late, and everyone’s forgotten everything! Weinstein notes are first class. Great job! I have found this article of real interest - in fact a complete record and a fine reference article. Many thanks for the note and the website are beautiful tribute to a man that I never met but was so honoured to be given the award named after him. When I was in Port Elizabeth for ALGOAPEX in 2002, David Crocker had Sjaan ‘drag’ me over to the Congress proceedings for some reason and I was flabbergasted by hearing my name announced. Upon being told what the award meant, I was even the more honoured being an American far away from the source of my great philatelic interest. Whenever I attend special functions here in the US I wear the medal and am asked what it is. My reply is simple and short in a way that is understood by the importance of Manfred in that it is the South African equivalent to the Luff Award, only being eclipsed by the honour of signing the Roll (at least in my opinion and understanding). We are merely contributing to the hobby we all love! We include all the URL’s of the relevant societies in our Links and indeed we are the only one to do so!